Oh the abject horror of it all – going to a gallery to look perchance buy some art. Or maybe you saw a beautiful painting through the window and wanted to get a closer look. Unfortunately there was this tweedy little man/woman with over-sized horn rimmed glasses perched on a pinched face that looked you over and sniffed like they had walked into an odiferous bathroom. What a cliché. As funny as that is, and a lot of times taken for gospel, it is simply not true. Most gallery owners and their staff are wonderful people. They come in all shapes, sizes, and temperaments. Their dual purpose in life is to seduce you with the art they carry and then follow through and close the sale for cash. Just like any other retail merchant. And hopefully come back again for more. The major difference between a hardware merchant and a gallery owner is that you know most of what is in the hardware store and how it is used and that all the brand names are about the same. All the chain saws work the same, cut wood, and cost about the same. In a gallery same-sized paintings and sculptures can be wildly different. Some of the artists have a bigger brand name than others. It seems that in a gallery the whole affair is rigged against you. Relax. All of the items mentioned above can be true – but probably are not relevant. Art is what you like, what you are comfortable with, and what you can afford. Over time your tastes will change – you will sell the art that you are dissatisfied with and buy new art. It is a delightful process not a destination set in concrete. First talk to friends with similar interests. Do they have a few galleries that they rave about? Visit their favorites. Check out gallery websites. Most galleries now have web sites so that you can do a quick check to see if you are interested in their offerings. Most galleries keep their web sites up-to-date. 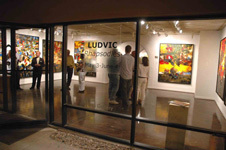 Galleries in different cities can be seen at Art-Collecting.com (http://www.art-collecting.com) and ArtNet (http://www.artnet.com/) for example. Every gallery is also different. Certain items though are fairly standard. 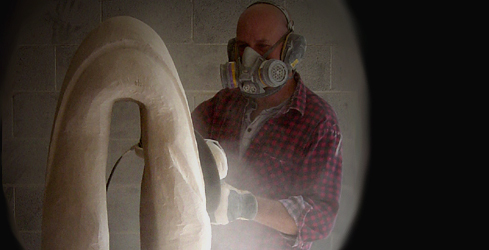 They have a knowledgeable staff who knows about the art and artists. The gallery should have some stock that is not on the sales floor, that the staff is willing to show you. Some inventory (maybe as much as 25%) is in storage in the back room waiting to rotate out onto the sales floor later. Most galleries accept debit cards, credit cards, personal checks and travelers checks. Many galleries also have extended payment plans for larger purchases. Visiting a gallery is wonderful. You get to explore a lot of new ideas at once. You get to see the gallery owners’ taste in art, how he displays it, and how he groups different art together. Lots of ideas to work with and assimilate. Some galleries only show figurative work (paintings and sculptures that are centered on people, animals, or nature). Some galleries only show abstract work (everything else). Finally there are galleries that show both in the same room. That takes quite a personality and talent to juggle disparate styles and make it look like absolutely gorgeous not jarring. Afraid of being swooped down upon by a bevy of sales assistants that cannot seem to leave you alone? Attend artists opening nights, Third Thursday events, First Friday events, etc. On these nights the galleries are usually fairly full of lookers and buyers. You will not be molested by the spiky-haired sales assistants (if this creature still exists); they are to busy. At these gallery events you can see several open galleries in one evening. Makes a great date as well as seeing a wide variety of art. A word of caution though – visit only two or three galleries in an evening. You can overload on the art and not remember what you saw where. That would be terrible! you like it. That is the first step in buying art. Enjoy!